The Western Connecticut State University Opera Ensemble will present Wolfgang Amadeus Mozart’s “The Magic Flute” in four performances on Feb. 8, 9 and 10 at the MainStage Theatre of the Visual and Performing Arts Center on the university’s Westside campus, 43 Lake Ave. Extension in Danbury. The WCSU Opera Ensemble cast, directed by Professor of Music Dr. Margaret Astrup, will perform the two-act opera in English, translated from the original German libretto by Emanuel Schikaneder. Evening performances will be at 7:30 p.m. on Friday, Feb. 8, and Saturday, Feb. 9, with matinee performances at 2 p.m. on Feb. 9 and Sunday, Feb. 10. General admission is $25, with a ticket price of $15 for seniors and children under 12. 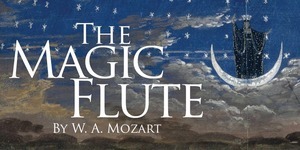 Reservations may be made online at www.eventbrite.com/e/the-magic-flute-tickets-53202740830. The WCSU Opera program has received national recognition for the excellence of its productions, earning first-place honors for its spring 2018 presentation of Engelbert Humperdinck’s “Hansel and Gretel” in the 2017-18 Opera Production Competition sponsored by the National Opera Association. The WCSU Alumni Association will host a special evening package on Feb. 9 featuring a cocktail reception at 6 p.m. at The Daily Grind in the Westside Campus Center followed by the 7:30 p.m. performance of “The Magic Flute.” The fee for the reception and opera admission is $30 per guest. Tickets may be purchased online at http://wcsu.edu/alumni/2018/12/11/the-magic-flute-saturday-feb-9/; inquiries should be directed to the WCSU Alumni Association at (203) 837-8298. For more information about the opera production, contact the Office of University Relations at (203) 837-8486.